It is aimed at helping fans, governing bodies and others involved in the game to identify, stop and prevent discriminatory abuse in football. The guidance document outlines the most commonly displayed discriminatory practices and is far from exhaustive. 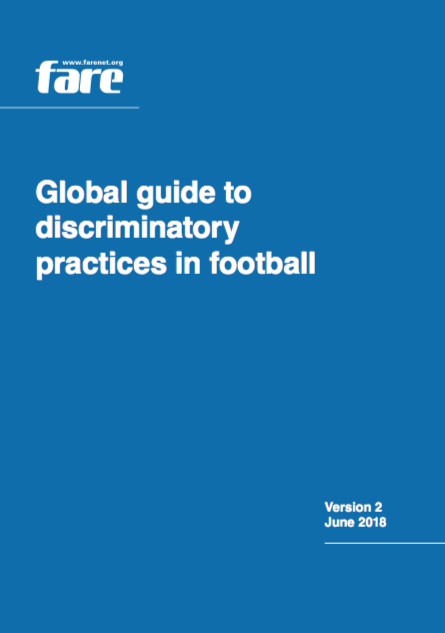 The guide has been produced by Fare and combines submissions from experts on issues of discrimination and football, findings of the Fare-FIFA Anti-Discrimination Monitoring System at the 2018 FIFA World Cup Russia preliminary competition, and expertise gathered from the Fare Observer System at UEFA international club and national team competitions. This guide, however, is not a list of prohibited symbols and codes upon which disciplinary proceedings would be opened automatically. Each incident may be assessed individually including the context in which it was displayed.